Even though he's ranked near the top of the UFC's heavyweight division, it sure seems like the UFC is using Alistair Overeem as a gatekeeper. 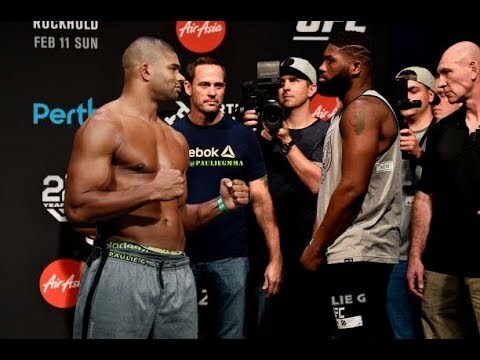 "The Reem" takes on Curtis Blaydes this Saturday night at UFC 225, and instead of getting a prominent place on the main pay-per-view card like most would expect, the UFC instead has Overeem vs Blaydes "main eventing" the FS1 portion of the preliminary card. Even though the UFC's argument will be that CM Punk vs. Mike Jackson sells more PPVs, the fact of the matter is this is Overeem's first time on the prelims in the UFC, and to me it's a sign the promotion sees him more as a gatekeeper than a bona fide title contender at this point. As highly-regarded as Overeem is, it's true that he just hasn't been able to get over the hump and get the UFC heavyweight title, even though the promotion has given him plenty of opportunities to do so. Numerous times has Overeem been given a #1 contender bout only to fail. Remember when he lost to Antonio "Bigfoot" Silva in a massive upset back in 2013, or when he lost to Ben Rothwell in another upset in 2014. He finally did climb back up the ladder and get the chance to fight Stipe Miocic for he belt in 2016, but he failed in his bid for the title. Once again he climbed up the ladder with back-to-back wins over Fabricio Werdum and Mark Hunt, only to get knocked out by Francis Ngannou in late 2017. I think at this point the UFC has seen enough, and know that Overeem (more specifically, his chin) just isn't good enough to hold UFC gold, and instead the promotion is using him as a gatekeeper to a title shot by giving him matchups against guys the promotion wants to push. 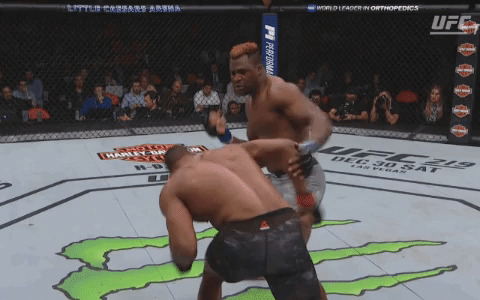 The Ngannou fight was the first time we really saw the UFC utilize Overeem in this fashion, as he was fed to the wolves in that fight by a faster, younger, and more athletic heavyweight who absolutely demolished him in one of the most brutal knockouts of all time. 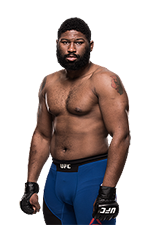 Now the UFC is giving Overeem another tough fight in the form of Blaydes, who is coming off of a win over Hunt and who is someone many fans and media members consider the next big thing in the heavyweight division. Like Ngannou, Blaydes needs that one huge win to really put him over, and Overeem is being used as that guy. There's a changing of the guard happening right now in the heavyweight division, as elder statesmen like Overeem, Hunt, Werdum, and Andrei Arlovski are essentially being used as stepping stones to the title, and in a division where the champ Miocic has been utterly dominant, it makes sense that the UFC is using these veterans in that fashion, even though all of these guys -- especially Overeem -- must still feel like they are very relevant in the title picture. 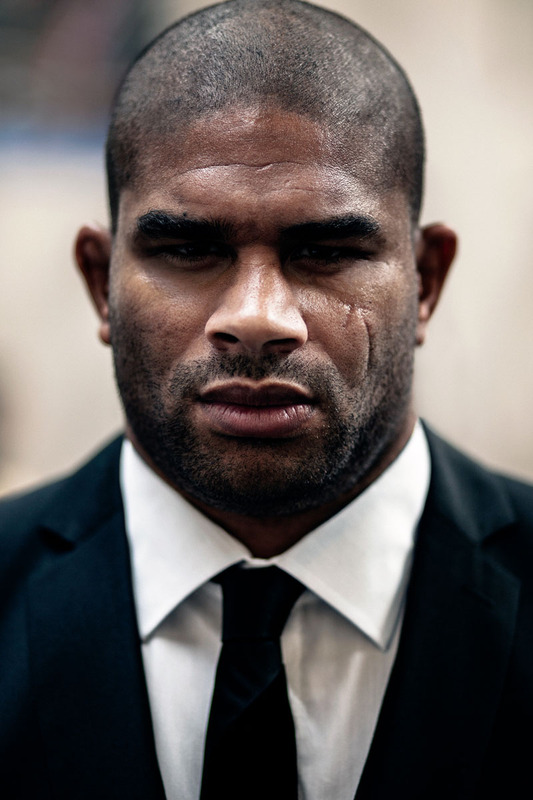 The UFC won't admit it, but they have turned Overeem into a gatekeeper. The fact he's fighting the next big things in the heavyweight division and the fact he's been moved from PPV to prelims speaks volumes. The good thing for Overeem is that the heavyweight division is shallow enough that a few more wins could put Overeem back in a position to contend for the heavyweight belt. But let's be honest, at this point the promotion is using him to get others there. Ngannou passed that gatekeeper test in his last fight, and we'll find out at UFC 225 if Blaydes can pass the test as well, or if Overeem can prove everyone wrong and show that he can still be a relevant title contender at age 38.